This is another hassle free, quick and shortcut way of serving yourself a bowl of delicious Prawn Noodle at home with a packet of instant paste solve all the long hour of broth cooking. 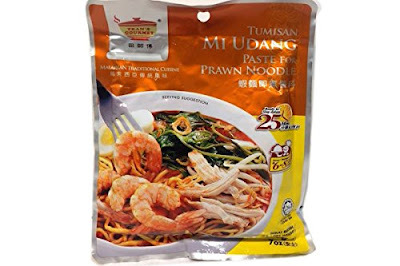 I am using Tumisan Mie Udang (Paste For Prawn Noodle) make life so much easier nowsaday. 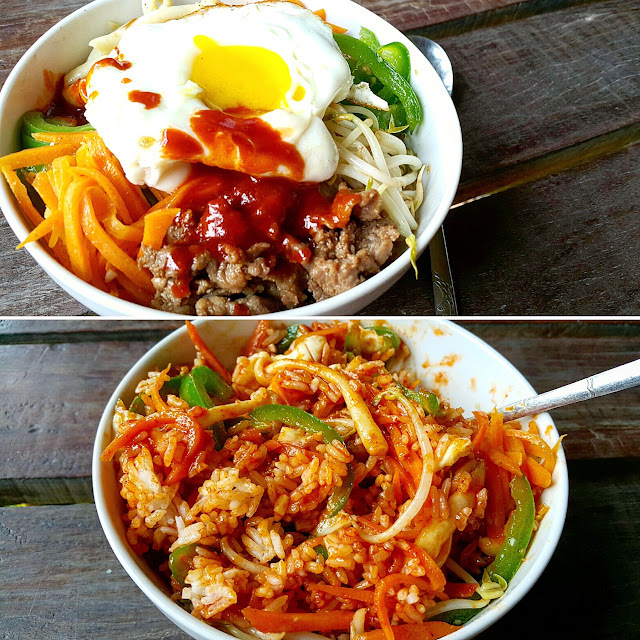 It is easy, quick and delicious!! * Blanch kangkung ( water spinach ), beansprout, taufu pok, prawns, chicken and yellow noodle set aside. * Cook hard boiled egg, set aside. * To make the broth:- In a soup pot, add 1500ml water, bring to boil mix in 1 packet of instant Prawn Noodle Paste, keep boiling under low fire and season to taste and off fire. 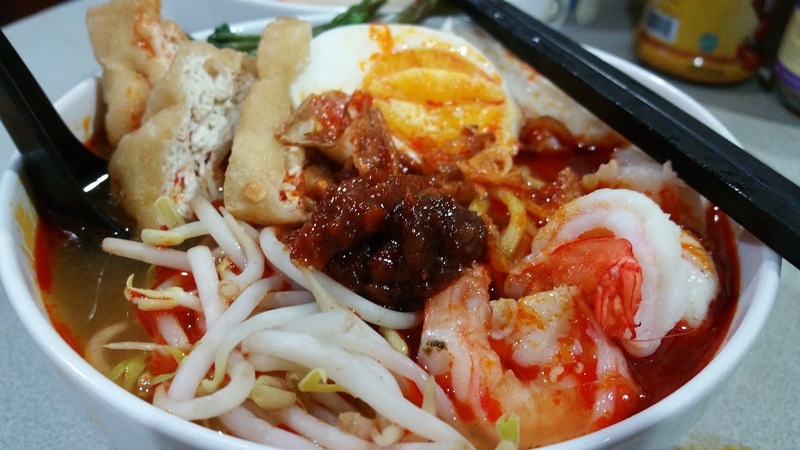 * Meanwhile, prepared bowls of noodle, garnish with blanch vegetables, fish cake, prawns, taufu pok and other condiments. 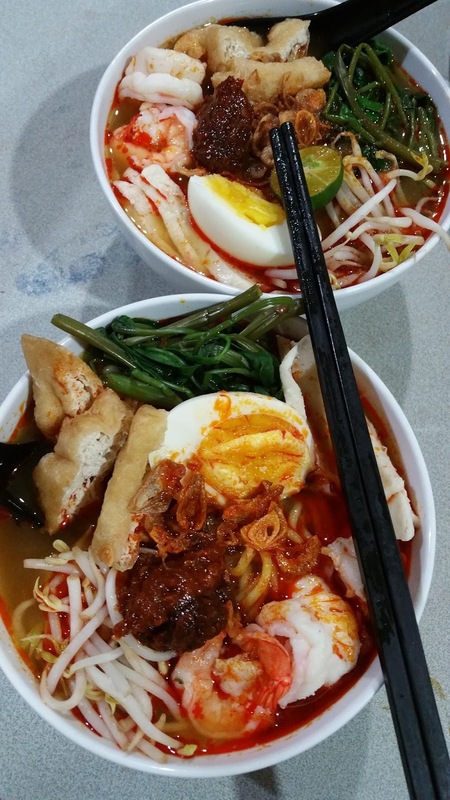 * Pour hot broth onto noodles, sprinkle with fried shallots and spring onion and served hot.